I don’t know that there is anything more fun for kids than decorating the house for an event or holiday. Halloween is pretty much at the top of my list as fun to decorate. 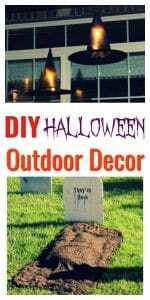 Here are some fun and for the most part easy, DIY Halloween decorations that you can make. 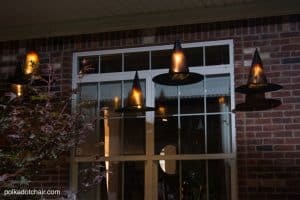 These are witches hats that are illuminated and “float” in the air. They certainly provide a Halloween spirit. These super fun floating witch hat luminaries come from Polka Dot Chair. How much fun would these be to make? 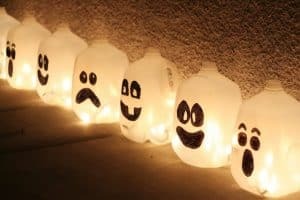 These spirit jug lights would be a great way to light the pathway up to your door. You can see this spirit jug project at Eighteen 25. 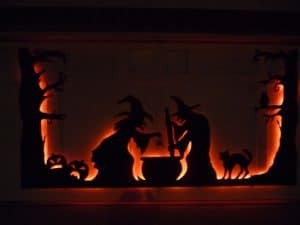 These garage door silhouettes add an element of mystery to Halloween night! 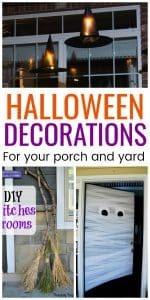 They are a great way to greet visitors who come trick or treating to your house. You can see how to make these at instructables. 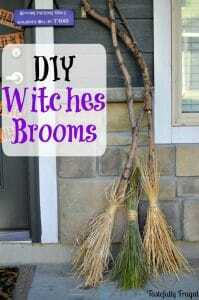 These witches brooms look great! They would definitely add a festive air to Halloween! You can see how to make them at Tastefully Frugal. 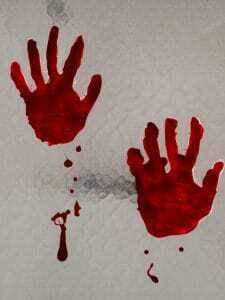 These bloody handprint clings are sure to scare someone. 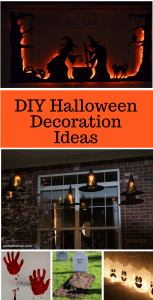 They are easy to make and would be a great addition to your front windows. You can find instructions on how to make these at Felt Magnet. 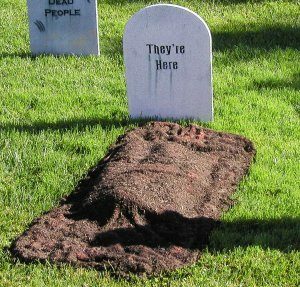 Nothing like sporting a fresh dug grave in your front yard. This will be sure to add a creepy feeling to your front yard. The instructions for this are at Aid Topia. 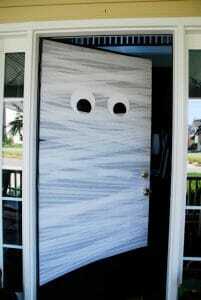 Make your door into a mummy with some crepe paper. 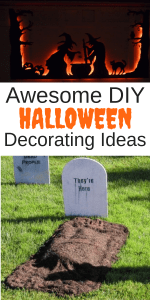 Super easy DIY Halloween craft that your kids can join you in making. You can find details about this at Honey and Fitz. 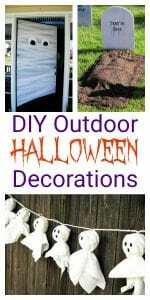 This is a fun way to decorate your fence or maybe along your front porch. 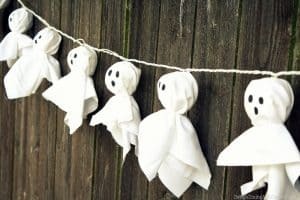 The instructions for this Halloween Ghost Garland Decoration is at Taryn Whiteaker. 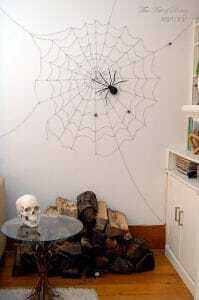 This creepy spider web can be found at The Art of Doing Stuff. I hope this inspires you to get your house decorated this year!